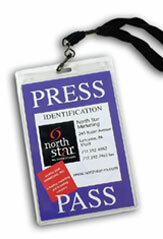 Lancaster, PA – August 3, 2006 – Byers’ Choice recently named North Star Marketing as a strategic partner. North Star Marketing will conduct a brand analysis of the Byers’ Choice brand in conjunction with a sales channel review. Byers’ Choice, known for their collectible Christmas carolers, is located in Chalfont, PA. Handcrafted by over 180 artisans, each caroler figurine is a one-of-a-kind masterpiece. Known for their quality products, dedication to family and generous charitable contributions, Byers’ Choice has in recent years been named one of "The Best Places to Work in PA."
North Star Marketing provides companies with marketing, branding, PR, interactive, print, collateral, packaging, creative services, and sales communication.